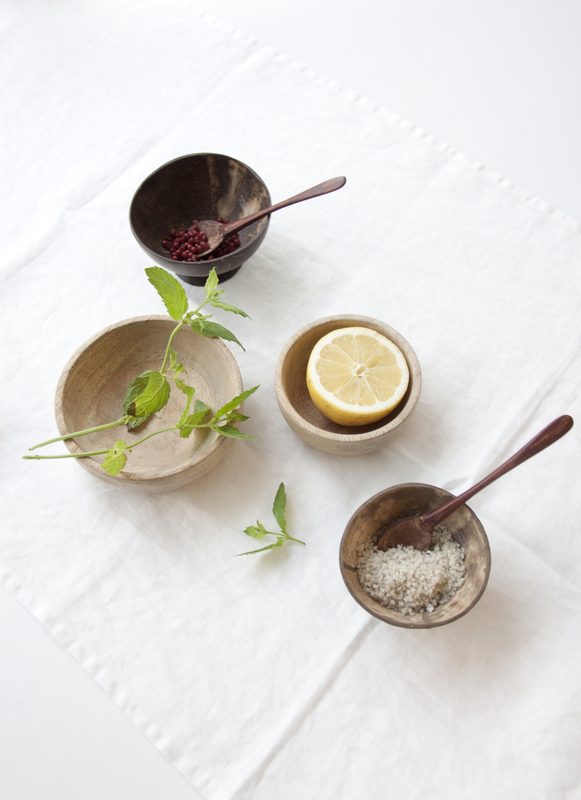 At Urban Nature Culture, we’re great fans of products that have more to them than meets the eye. There’s a story behind each and every single one of them. To some, it’s the unique way they’re produced. To others, it’s the effect they have after they’re completed. Our beautiful Mangal Jug is one of both. 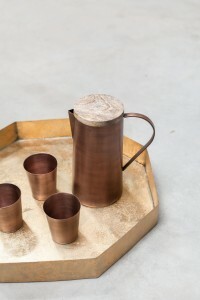 It’s made of brass, an alloy mixture of copper and zinc, and has been used for centuries to keep our water healthy. The power of nature. In Ayurveda, a traditional system of medicine with Indian roots, copper has been used for hundreds, to thousands of years. It is said that water stored in a copper vessel positively charges the water, giving it the ability to balance all three doshas in your body – vata, kapha & pitta. 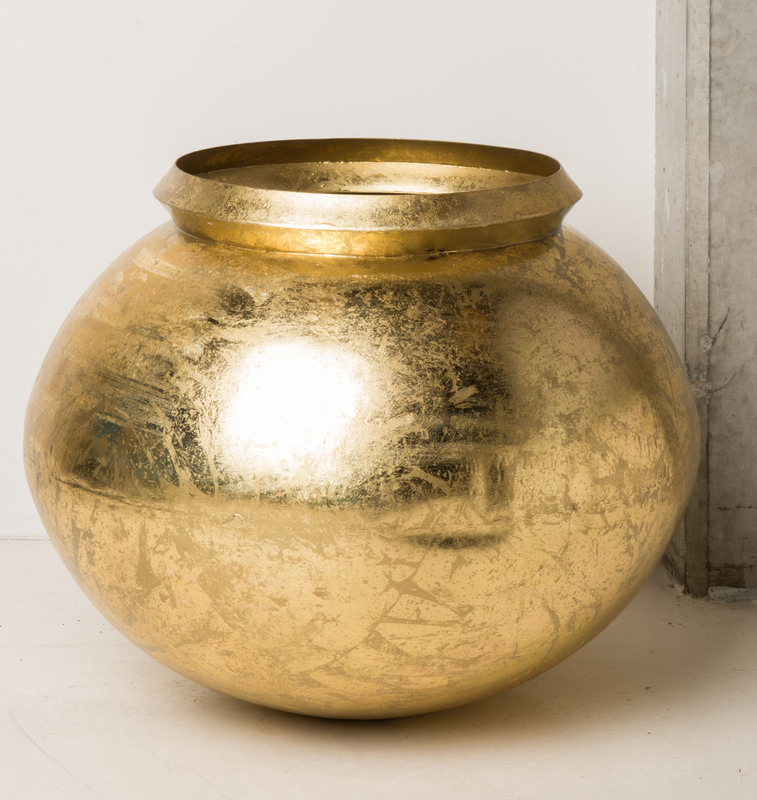 In Ayurveda, a copper vessel is known as ‘tamara jal’ and its learnings teach us that the water you store in it should be in there for at least 8 hours, so the copper in the vessel can gently leach into the water. 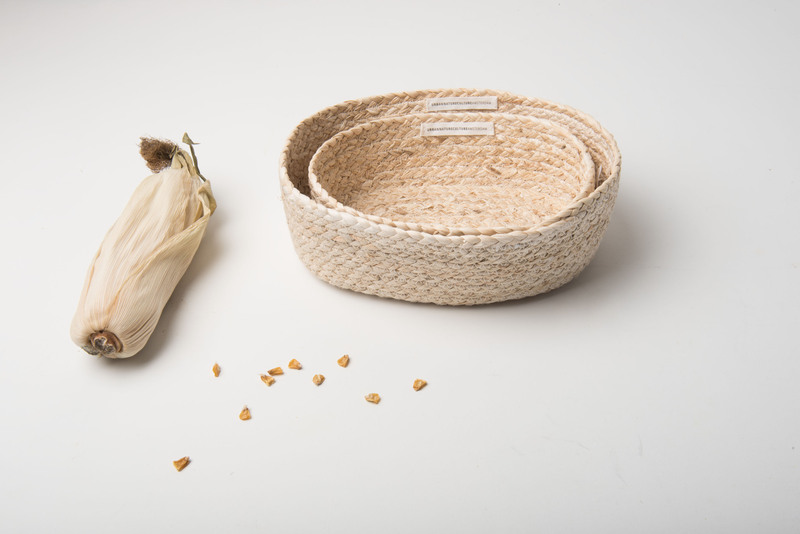 It prevents the water from going stale, meaning it can be stored for long periods of time. The ancient Indians filled a copper cup with cold water at bedtime and drank it first thing in the morning. 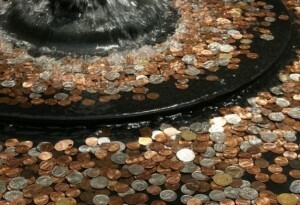 It’s also the reason that in India, lots of people throw copper coins into the rivers, lakes, wells and ponds. Unfortunately, other metals – such as nickel and aluminum, are also tossed in – detrimental to the environment. But the Indians weren’t the only ones to do this. 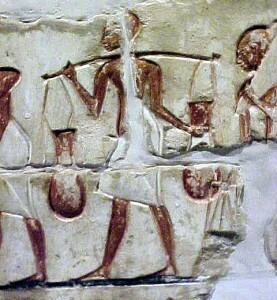 Research confirms that the Ancient Egyptians used copper for the same benefit. In fact, even today, large sized copper vessels are used to store water brought from river Ganges to offer to lord Siva at the Ramanathaswamy temple. Stored this way, the water stays fresh for years. It’s not just a belief that confirms the health benefits of copper. After extensive antimicrobial testing by the Environmental Protection Agency, the conclusion was that 335 copper alloys, including many types of brass, killed more than 99,9% of bacteria within two hours of contact. A research group from Southampton University found that Coli 157 bacteria can live in stainless steel vessels for months, while copper vessel at room temperature can kill them in just four hours. 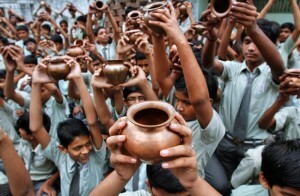 If we used copper vessels in factories, shops, hospitals and restaurants, it could be the solution to food poisoning. No other metal, not even gold, has the ability to kill bacteria. As you see, nature offers us another one of its wonders. 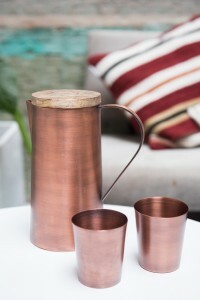 Though the word of advice is not to overdo the use of drinking water from a copper vessel (2 or 3 cups is beneficial without causing destruction), its health benefits range from boosting the heart health and beating anemia to fighting inflammations, aiding weight loss and promoting healthy skin. It’s also said to stimulate your brain, slow down aging and help the digestive system perform better. However, we strongly advice not to drink anything other than cold water from our Mangal Jug or Cup, to be able to enjoy this beautiful wonder of nature. The Mangal Jug & Cup will be available at the end of September, as a part of our new 2016 collection at our web shop!